Red is a powerful colour. Over the centuries it has been associated with good fortune, passion, violence, defiance, political ideology—and danger. The colour red is used in roadside Stop and Give Way signs, at level crossings and in traffic lights—and now as a visible defence against runway incursions. Stop bars are sets of unidirectional red lights spaced three metres apart and 0.3 metres before a runway holding point. They augment rather than replace other visual warnings such as flashing yellow guard lights and painted taxiway markings. When stop bar lights are extinguished, a row of green ‘lead on’ lights from the holding point to the runway edge line illuminate. Canberra Airport is to become the fourth in Australia to implement stop bars. But there are some significant differences between Canberra and the three other capital city airports which have so far deployed stop bars—Melbourne, Sydney and Perth. Unlike these airports, Canberra has a significant amount of private general aviation traffic. It doesn’t have a surface movement guidance and control system or ground radar, and outside tower hours it reverts to a CTAF airport, with the stop bars extinguished. 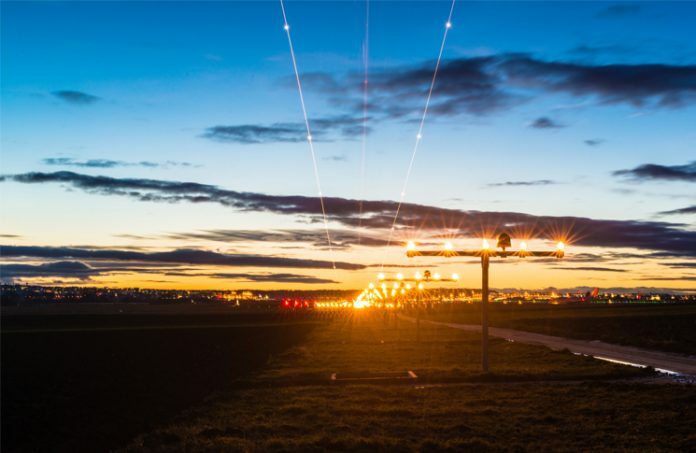 In Canberra, the introduction of stop bars, along with additional runway lighting and longer holding point setbacks, are prerequisites for the introduction of Category II instrument landing (ILS) approaches during tower hours. Cat II allows suitably equipped aircraft to descend to a Decision Height of no less than 100 feet before, if necessary, executing a missed approach, rather than the minimum of 200 feet for Cat 1—a considerable advantage for both operators and passengers in a fog-prone city such as Canberra. ensure that the stop bar is not illuminated. Neither a verbal clearance on its own, nor the absence of red lights without a verbal clearance, is sufficient. ATC will not issue conditional clearances (such as ‘pass behind the landing 737’) where stop bars are in use. By default, stop bars are on (illuminated) whenever the tower is staffed and can only be turned off (extinguished) manually from the tower for a limited time—usually at the same time as ATC gives a verbal clearance. For this reason, if a taxiing aircraft receives and acknowledges a clearance to enter or cross a runway, the pilot should try to avoid delays—always ensuring, of course, that the stop bar remains extinguished approaching the holding point. No part of an aircraft or vehicle must cross an illuminated stop bar, and where space permits, they should stop far enough back to maintain visibility of the stop bar. At some locations, there are raised stop bar lights in addition to those on the taxiway. The importance of understanding and following correct procedures, and of clear communication between ATC and pilots, was illustrated tragically on 8 October 2001 at Linate Airport in Milan, Italy. Scandinavian Airlines Flight 686, a Copenhagen-bound McDonnell Douglas MD-87 with 110 people aboard, collided on take-off with a Cessna Citation jet carrying four people bound for Paris. In fog, the Citation had taken the wrong taxiway. With its position unknown to ATC, it crossed a lit red stop bar without clearance and entered the active runway just as the MD-87 was about to take off. There were no survivors in either aircraft. 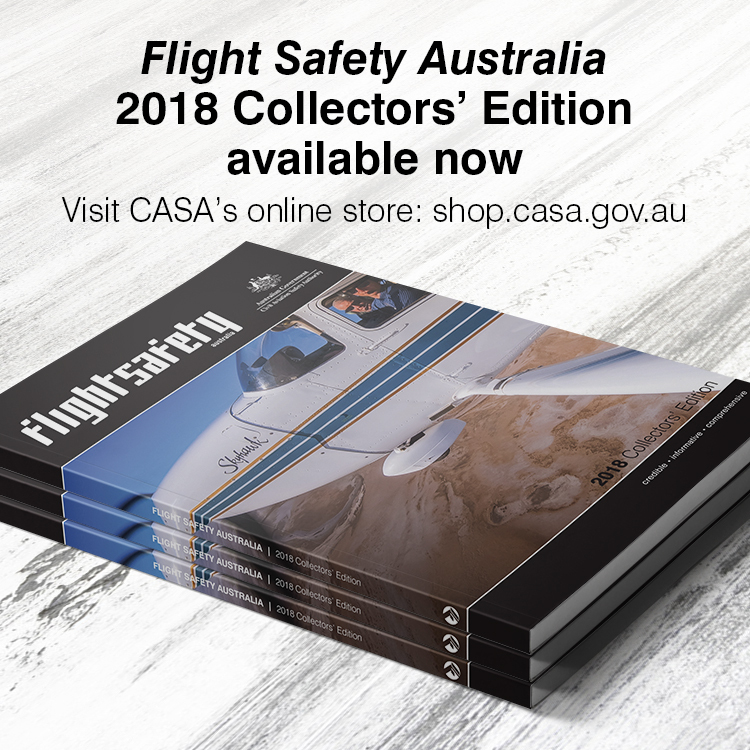 The Australian Transport Safety Bureau (ATSB) is investigating a runway incursion at Perth Airport on 28 April 2018 involving a taxiing Boeing 737. The ATSB’s preliminary report says, ‘The flight crew was required to hold short of runway 06. The aircraft passed the holding point and stopped just past the holding point … marked with a runway stop bar’. In some cultures, red denotes good fortune, but the colour also has associations with fire and, of course, blood. The world’s first traffic light was a manually-operated gas affair, used to control horse-drawn traffic outside the Houses of Parliament in London towards the end of 1868. The idea had come from railway engineer John Peake Knight. However, this traffic light was short lived; an explosion on 2 January 1869 caused by a faulty gas line injured the policeman operating it. Several cities in the United States developed electric traffic lights during the first two decades of the 20th century; Detroit is credited with installing the first three-coloured traffic lights in 1920. In 1928, Melbourne became the first city in Australia to install traffic lights, at the intersection of Swanston and Collins streets. While radio has made light signals from airport towers largely unnecessary, red, green and white lights are still used to communicate with aircraft in the event of radio failure. It’s comforting to know that in an automated world, there’s an essential role at busy airports for manually operated airport ‘traffic lights’. So, remember: when flying, you must stop at the red bar. Stopping at a bar of any colour when flying duties are over is optional. While it has nothing to do with the main point of the article, I was amused at the road biased nature of your history of red as a signalling colour. Red has a much longer history of signalling in transport. Red and green were first used for signalling at sea – think port/starboard lights, buoys, and lighthouses. The main reasons these colours were chosen were probably 1) it was known how to make these coloured glasses and they were cheap, 2) they were distinct from each other and from white (except for those people who were colour blind – which condition was not known at the time), and 3) red could be seen for a long distance. Note that red was not specifically associated with danger – red portside lights and red buoys are simply the opposite of green. When railways got going in the mid 19th century they adopted the same colours for signalling – white (clear), green (caution), and red (danger). Red being used specifically for danger was probably simply because it was more visible for longer distances and in worse weather than either green or white. The use of white for clear proved problematic as the century progressed and white lights became more common in the environment (think gas lighting of houses, buildings, and streets). The choice of another colour was difficult as it had to be distinct from red and green, and visible for a long distance when illuminated with oil lamps. Yellow was problematic for two reasons: the poor quality control in glass manufacture meant that the red could be mistaken for a darkish yellow; and a broken red spectacle could mean that the yellow light of the oil lamp could be mistaken for a yellow light. The need in the railway industry for a reliable third colour was so pressing that Corning Glass in the US funded research to develop a yellow glass that would be distinct under all conditions from red and green. This was achieved around 1905; and railways worldwide quickly (and largely) adopted green (clear), yellow (caution), and red (danger). Its use in road traffic signals post dates this, and was essentially a direct copy of the existing railway technology. This colour sequence – green (clear), yellow (caution), and red (danger) – has become so ingrained that it appears to be natural and accepted without question, when it was actually contingent on technology and a relatively recent innovation.